Many questions in our society are complex and not easy to answer. 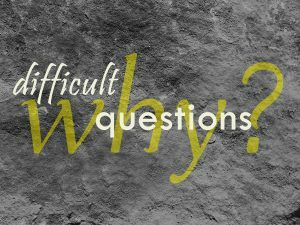 This Sunday we conclude our four week series, Difficult Questions, by looking at the question: Can we trust the God of the Old Testament? Come and hear what the Bible says about this intriguing topic. Worship begins at 10:30 am. We hope you’ll join us.